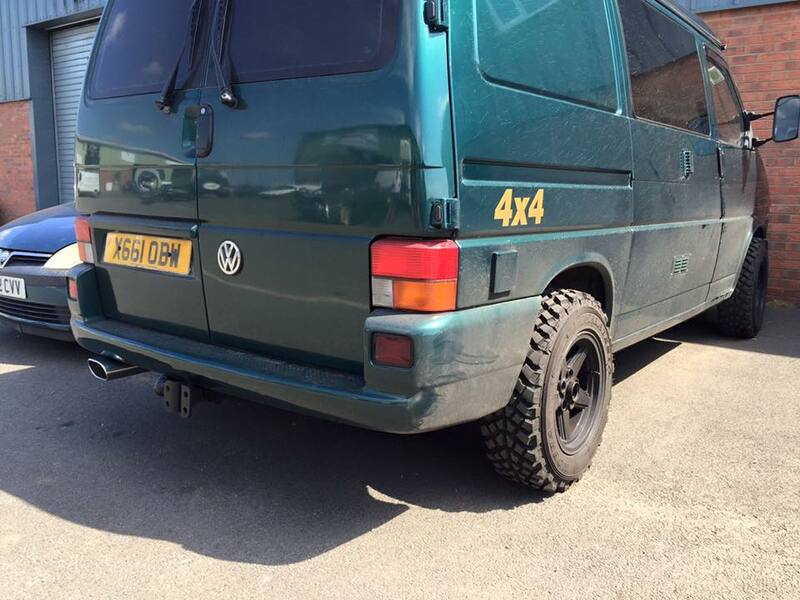 Stainless steel exhaust system for the VW T4 syncro. Comes as a complete kit ready to fit as rear exit only. Has a dummy cat in front section, this comes with one silencer, centre section goes over the prop shaft and the rear follows the same route as the VW one. Please let us know if your T4 is short or long wheel base, which tailpipe you would like and if its the 2.4 non turbo or the 2.5tdi version along with the year. Please be aware this system does take a little longer to make. 1 x Vw T4 syncro exhaust system was added to your basket.